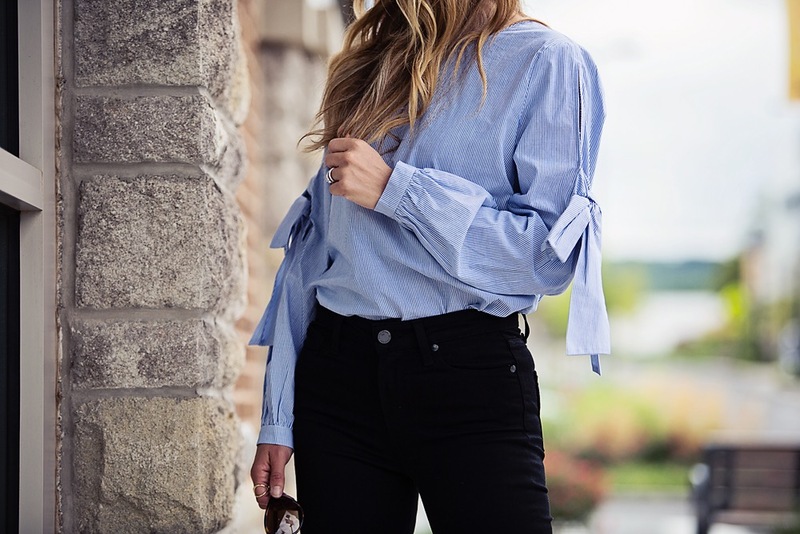 What’s the only current style that can rival the off the shoulder phenomenon? Cover those shoulders and bring on the statement sleeves. 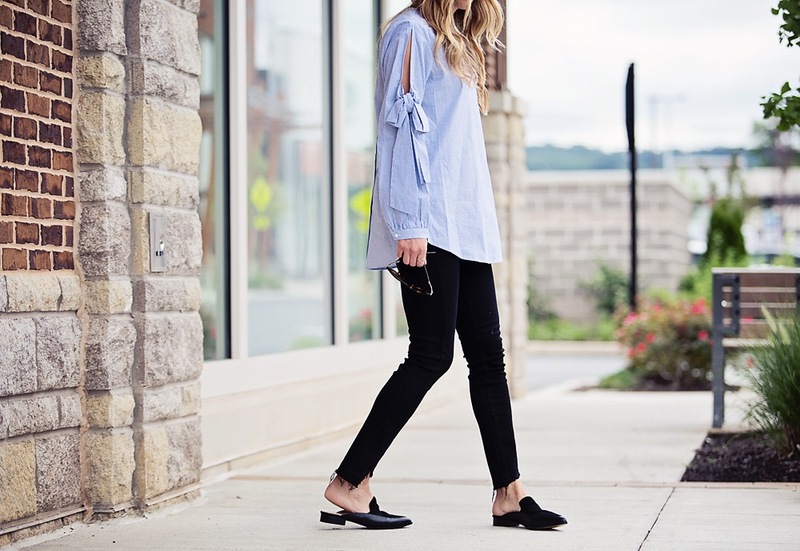 If you are looking for a more “work appropriate” top that is still on trend, the statement sleeve is your obvious answer – no strapless bra required. From bows to bells to ruffles, these tops are almost too fun to save for work mode only. Swap out your black pants or your go-to slacks for your favorite pair of denim and a fun shoe and these tops are instantly weekend ready. With the Nordstrom Anniversary Sale quickly coming to an end (no!! ), I wanted to point out three tops that you can wear now and later. In true Motherchic fashion (read: easy, effortless, mindless style) these tops don’t need much else. 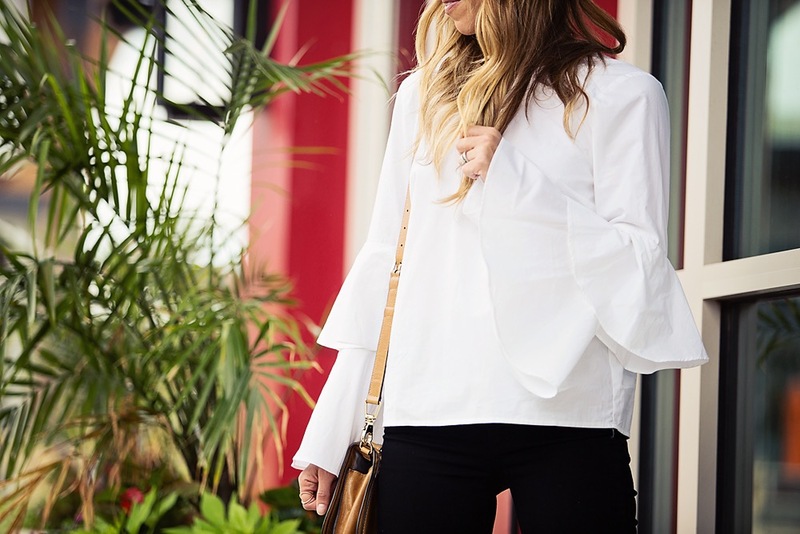 Let the sleeves steal the show and be on your busy girl way. This top comes in several colors/patterns (you might remember the polka dot version from this post), but I love the solid black for a subdued statement. I dressed this down for weekend, but would look great with your favorite pencil skirt or pants for work. 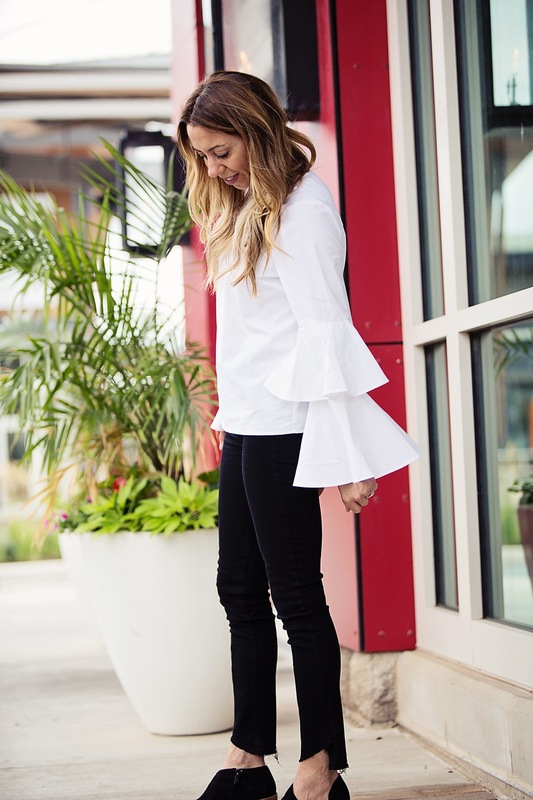 When you can’t decide if you like it better tucked or untucked….either way, the bow sleeve detail is on point and the buttons down the back don’t hurt either. This top is on the longer side so it works great for those wanting booty coverage. I can’t help but thinking this top would look great with leather pants in the winter…. Thank you for Nordstrom and ShopStyle for sponsoring this post. All outfit selections and opinions are my own.